Visitors to Wincanton town centre, and in particular, Carrington Way, will notice the Co-Operative Store in the town centre has been closed recently. This is not a permanent closure, but a full refurbishment, with the store reopening for business on Friday 23rd October at 7.00am. Government regulations stipulate that with a retail area over 280 square metres (3013 square feet) the Wincanton store is classed as a "large shop", meaning that opening hours are restricted, especially on Sundays. When the refurbishment is completed the retail floor area will be just under 280 square metres, changing the store classification to "small shop". Small shops can open any day, any time. The main difference for Wincanton Co-Op will be that opening hours on Sundays will extend to 10.00pm. 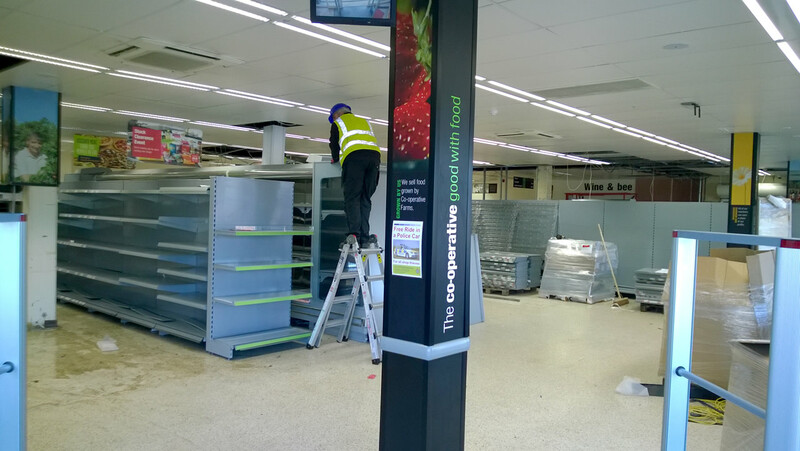 A representative from the Co-Op Head Office said that although the floor space is being reduced, customers shouldn’t notice much, if any difference to the stock on the shelves.